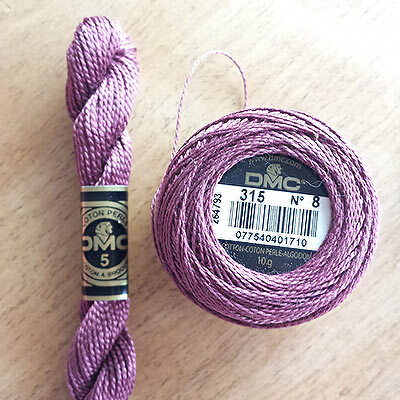 Have you ever seen DMC pearl cotton thread (also spelled perle cotton) in your local needlework or craft store and weren’t sure what to do with it? Recently I’ve had quite a few people asking me how to use it, so below is a quick demo on what you can use it for. 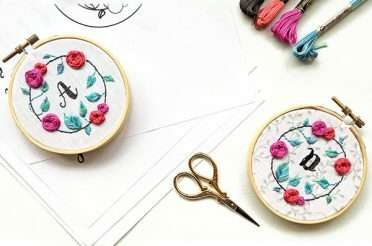 Pearl cotton is a very flexible thread — depending on the weight you can use it for any needlework such as cross stitch, crewel embroidery, hardanger, or even blackwork. 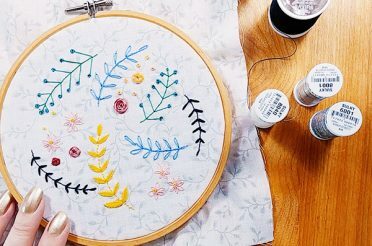 Don’t untwist the strands of thread — they are meant to stay twisted as one strand, they aren’t separated like 6-strand embroidery floss. 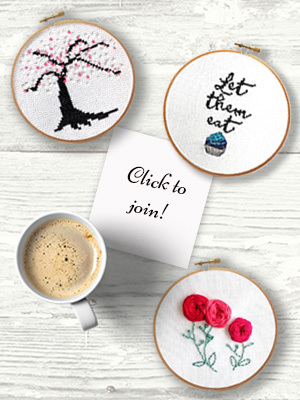 Choose the weight of cotton according to your cross stitch project. Higher thread count fabric (like 18 +) should use the finer #8 or #12 pearl cotton. 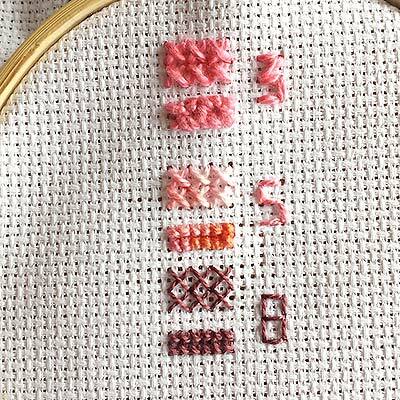 For 14 count fabric, you can use #5 in a similar way you would use 2 strands of DMC embroidery floss. To cut your pearl cotton skeins into shorter strands (approximately 18-19″), move both the paper labels on the skein to the centre. Separate the two twisted ends of the skein, and cut each loop in half. Remove one strand of thread by pulling one out from the still-looped end of the skein. 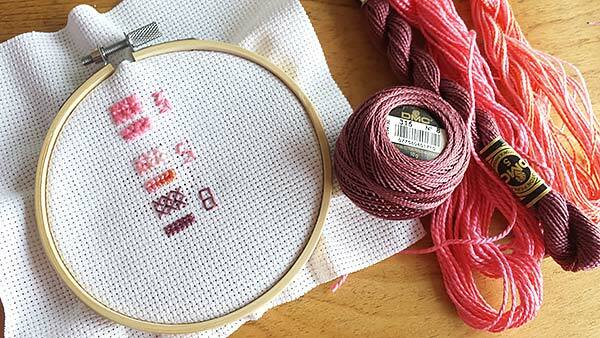 To cut your pearl cotton into longer strands (approximately 36″), remove both the paper labels from the skein. Untwist the skein to lay flat, then tease the skein open to create a loop (see the video for a demonstration). Cut the skein once. Keep your paper labels handy to easily identify the weight and colour later. Slip them back onto the skein if you removed them, or tie it onto one end of the skein. 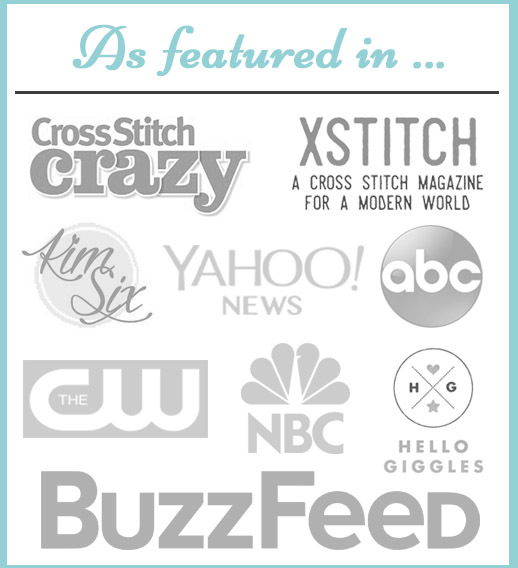 Ever wanted to try pearl cotton thread for cross stitch and needlework projects? 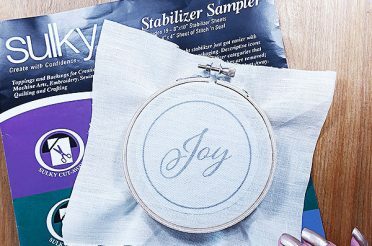 Add texture and interest to your stitching with pearl cotton. 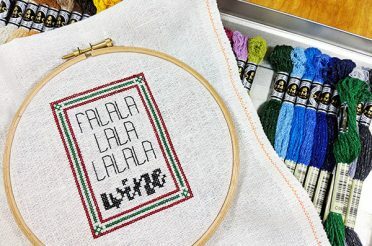 I am toying with the idea of using a perle cotton on 16 ct aida to cover a huge area that is all in one color. 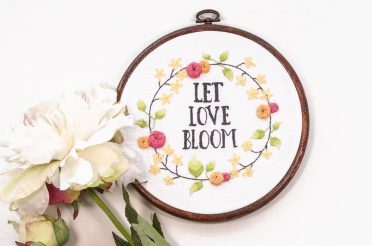 Could I get way with a half stitch? (tent stitch?). The large area is the focal point (a tree) – not the background. The rest of the pattern is letters. 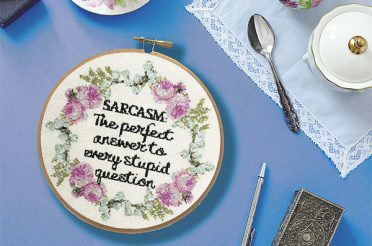 Would a #5 be thick enough if I do a half stitch? 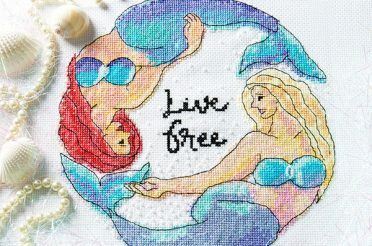 Could I continue this with the letters (done in Xs not backstitiching)? Either fulls Xs or half stitch, will it look very different from floss? 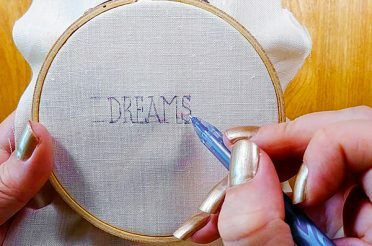 What’s the best way to thread a needle with Pearl Cotton for cross stitch?